If you fall ill while you're in Patagonia you will want to know what to do, and who to call. There are no compulsory vaccinations for Chile or Argentina at the current time and requirements are subject to change, so it is best to check with your local doctor. Rabies - the risk of being bitten or scratched by a rabid animal is rare however it is recommended that you are vaccinated against rabies if you will be staying for an extended period of time, if you will be in close contact with animals or cycling. If you do get bitten or scratched by any animal during your time in Chile or Argentina it is recommended that you seek medical advice as soon as possible. For more information check Centers for Disease Control and Prevention website. A yellow fever certificate may be a compulsory requirement for onward travel and immigration purposes, irrespective of whether it is recommended for health reasons. Therefore it is vital that you check the most up to date information. You are unlikely to need to prepare for the altitude of your trip - the Andes have lost most of their altitude on reaching Patagonia. 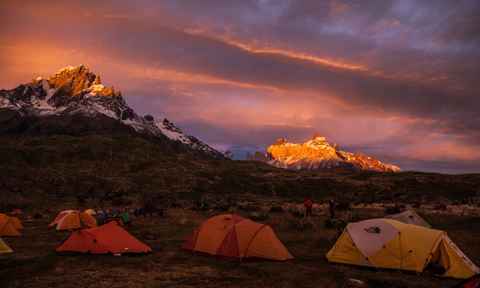 The highest peak in Patagonia sits at just 4,058m above sea level (compared to Aconcagua's 6,996m further north), so there is no mountain sickness to worry about. In terms of general fitness, we'd just recommend making sure you are fit enough for the trip you have booked and are prepared for the intensity and number of hours per day of physical activity. If you have any injuries or health problems then please be sure to check with your doctor before travelling. It always pays off to train before a trek; you will simply enjoy it more. If you'll be carrying a pack try to do some training hikes with one beforehand so you are accustomed to the weight. In the event of severe illness or an accident that requires medical attention, all private hospitals offer first class medical attention, facilities and treatment, but make sure your travel insurance covers such necessities. Travel insurance is essential when travelling with Swoop, and more information on it can be found here. If you require the emergency services when travelling in Patagonia, the numbers will be different depending on whether you are in Argentina or Chile. See below as to which numbers you will need for which country. Chile and Argentina are very clean countries with very high levels of hygiene in most areas. A seasoned traveller would drink the tap water in both countries, but if you are just on a 2 week holiday you might prefer not to risk it and stick with bottled water. It's a good idea to take a water bottle as most hotels will have large drinking water containers from which you will be able to refill your bottle. 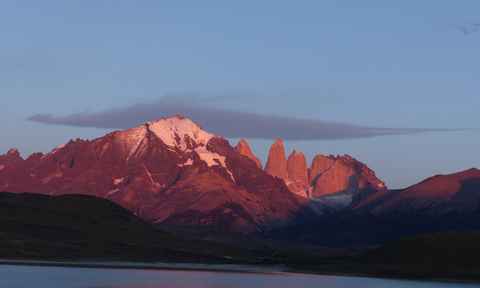 All water in Torres del Paine and Los Glaciares National Parks is safe for consumption without filtering or boiling.